Chicken tenders are probably a common favorite meal especially with children. These chicken tenders are sure to please any kid at heart and as a bonus, they're easy to make and healthy as well. 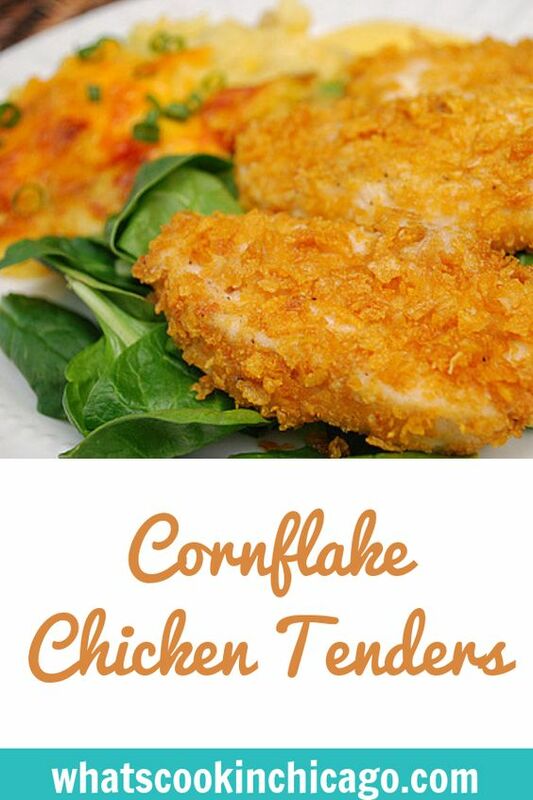 I made these in advance for the freezer and they turned out fantastic... and I'm willing to bet that these are better than any frozen nuggets you'll find in your grocer's freezer aisle. The recipe calls for crushed cornflakes used to coat the chicken. I added a few spices for additional flavor but feel free to omit them if you want to stick to the original recipe. 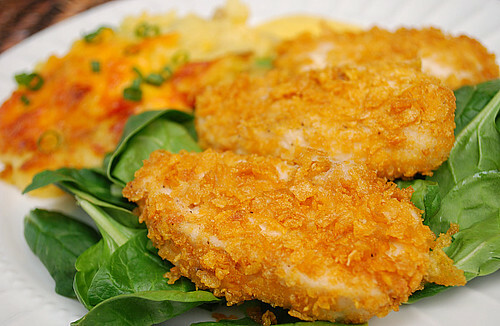 These chicken tenders are baked, making them a healthy way to prepare without sacrificing the crunchy texture. I served these with loaded mashed potatoes and a spinach salad. Adjust an oven rack to the middle position and heat the oven to 400˚F. Place an oven-safe cooling rack on a baking sheet and set aside. Combine the flour and spices in a small bowl; set aside. Place melted butter in another small bowl; set aside. Place the crushed cereal in a medium-sized bowl or pie plate. Dip the chicken pieces in the seasoned flour, then the butter, then the cereal. Place the coated chicken strips on the rack in the baking sheet. Bake the coated chicken pieces in the preheated oven for 20 – 25 minutes, until chicken is no longer pink. Serve with your favorite sauce. * To make ahead/freezer meal - Prepare as directed to coat the chicken and spread them on a wax paper lined baking sheet after coating. Place the baking sheet in the freezer uncovered and flash freeze for half an hour, until mostly firm. 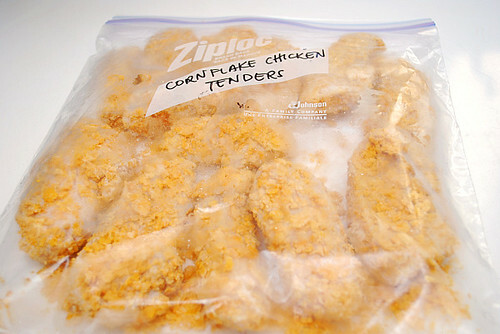 Transfer the strips to a gallon sized freezer bag labeled with the date and cooking instructions. When ready to prepare, preheat oven to 400˚F and bake from frozen (do not defrost) for 35-40 minutes on the baking sheet with the cooling rack.